It was my second weekend alone,far from my country in copenhagen.First week was too hectic ,I flied to Munich in-between for 3 days to attend a Global Seminar on 4G Technology. The clock ticked 5 PM and all left office except me and my workaholic managers.Somehow i managed to leave by 5.30 PM.It took me Five minute to reach my Hotel. Google seems to be more than God to me those days. With my Bus Pass and Big Map , I dare to start alone into the un-known streets of copenhagen. I hardly found people in the bus, but as soon as i reached city central crowd was more.People were enjoying the weather ,though it was 2-3 degree C.
from 1839-1848 by the Danish Architect M.B. Bindesboll and is one of the finest buildings in Copenhagen, located right next to the parliament building and the canal. As soon as i entered i saw an arrow mark indicating to keep the baggage in the locker-room.That day the entry was free unlike the other day due to some event 😉 Lucky me!! 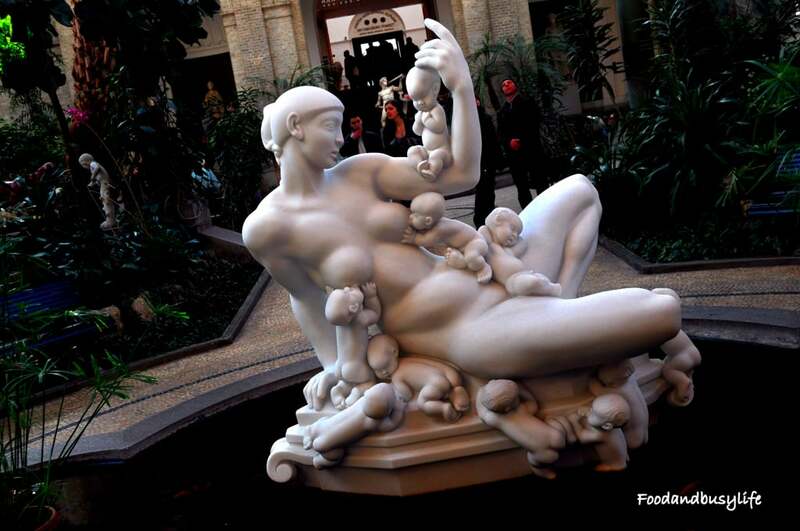 There was a sculpture of a mother with many babies around her in the entrance hall ,was dragging each visitor’s first sight.Right there ,three stairs up there was a Cafe besides Museum Shop.. It took me around two hour to cover that two storied building ,though i was not in much detailing to each part. from which one and often more specimens of the same work have been executed in marble or bronze. Furthermore, the Museum contains drawn and modelled sketches for and casts of Thorvaldsen’s works. Finally, the Museum contains a number of works in marble, executed either during his lifetime or after his death by other artists in 1844.
was largely established on the basis of purchases Thorvaldsen made in Rome. Some sculptures were colorful too!! a flute and several other objects along with some of his tools. Finally i ended with a cup of Coffee with some yummy cookies.